This vintage style handbag is edgy rock 'n roll & elegant at the same time! 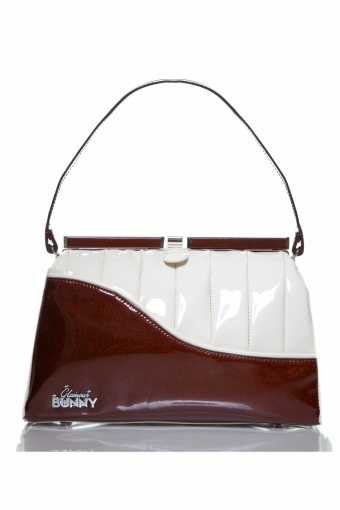 Made of vintage off white (not bright white as on the pics) and reddish brown glitter glossy faux leather and strap. 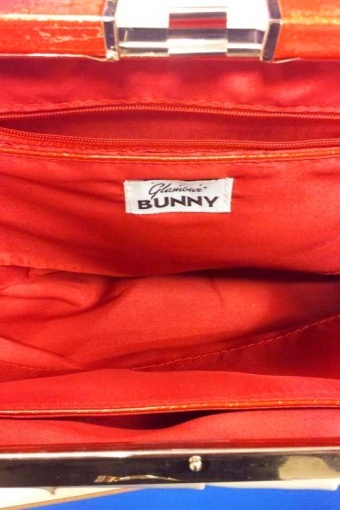 Kiss lock closure and red satin lining with 3 practical inner pockets. Silvertone metal feet to protect your bag. Must-have for vintage pinup ladies!